In the recent article titled Atman – The Higher Self, we discovered what the Esoteric Science of Theosophy has to say about the highermost part of our being, our true Self, pure eternal Spirit…referred to in Theosophy as Atman, the 7th Principle of the human constitution. We briefly made mention there of the fact that the 6th Principle, known by the Sanskrit name of Buddhi, serves as the vehicle for the direct radiation of the light of the Atman and that together, in conjunction with each other, they are the Monad, meaning the “primary unit,” “the ultimate unit” of our being. The Buddhi Principle is often called the Spiritual Soul in Theosophical teachings. In the general exoteric definition of the term “Buddhi” – which belongs to the philosophy of Hinduism – it is the principle or quality of discrimination (as in wise discriminative intelligence), intuition, and highest intellection. But what is it really? As we make a proper study of it, we discover that Buddhi is not really the faculty of intuition at all. We also come to realise that just as Atma is an entirely universal and undifferentiated Divine Principle and not personal or individual in any way whatsoever, just the same is true of Buddhi. Our individuality begins with the 5th Principle – Manas – which is the Mind Principle, the Thinker, the Human Soul, the Reincarnating Ego, the true “I” of our being. 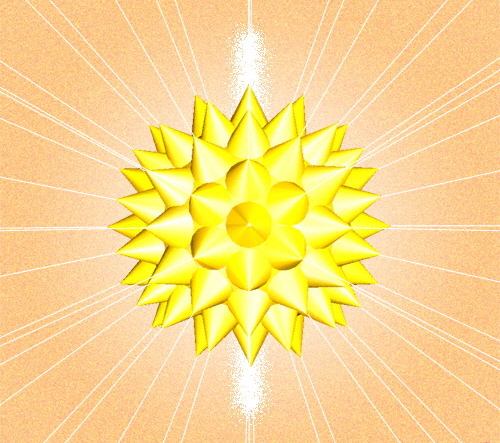 As the 6th Principle, in between the 7th and the 5th, Buddhi is the connecting link between Atma and Manas, Manas and Atma. In other words, it is the link between the Self and the Ego. The Master K.H. says in one of his Letters that Manas, the fifth principle, can become “centred in Buddhi, the sixth principle.” Indeed, it not only can become centred in Buddhi but its very aim and eternal purpose is to do so. The Master goes on to make the profound statement that “The supreme energy resides in the Buddhi” but that it is “latent” as long as Buddhi is “wedded to Atman alone.” That supreme but latent divine energy becomes “active and irresistible” when the Manas unites with it or begins to merge into it. Presumed lost or destroyed for over a century, these verbatim transcripts from 21 of HPB’s private teaching sessions and discussions with the Blavatsky Lodge in London eventually resurfaced and were published in book form (722 pages) in 2014 by Theosophy Company on behalf of the United Lodge of Theosophists. It is no exaggeration to say that every serious student of Theosophy needs this book. The following passages, in the very words spoken by HPB to her students, are quoted from those Dialogues and serve to shed further light on the nature and purpose of Buddhi. So is Buddhi actually the faculty of Intuition or not? SOME RELATED ARTICLES: Atman – The Higher Self, Manas – The Mystery of Mind, The Sevenfold Nature of Man, Understanding the Logos, Golden Keys to The Secret Doctrine, An Invitation to The Secret Doctrine, Words from The Masters about H.P. Blavatsky, and How to successfully study the Teachings of H.P. Blavatsky.